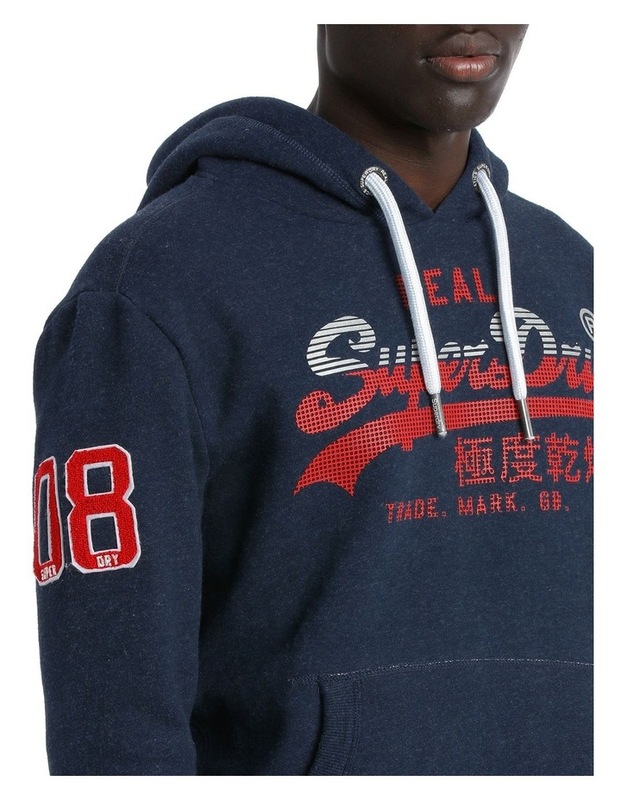 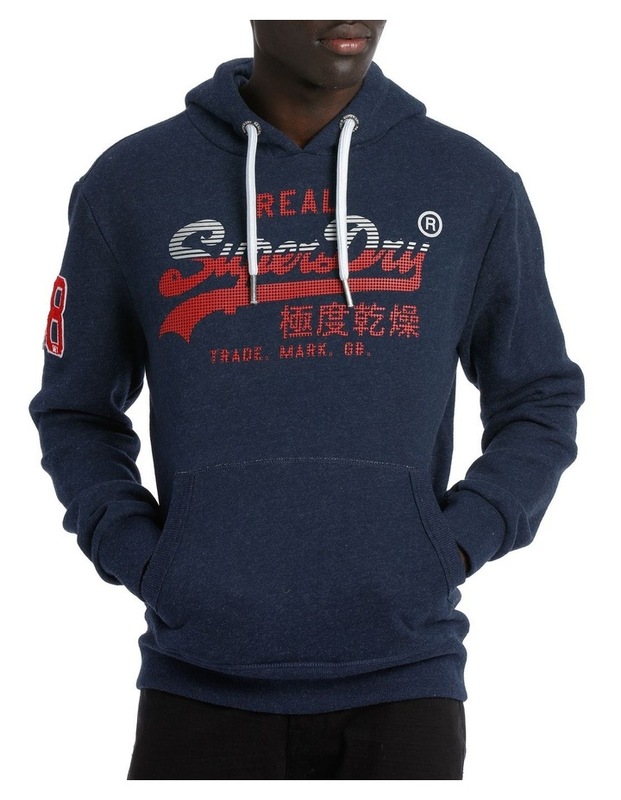 Superdry mens Vintage Logo Chinese New Year hood. 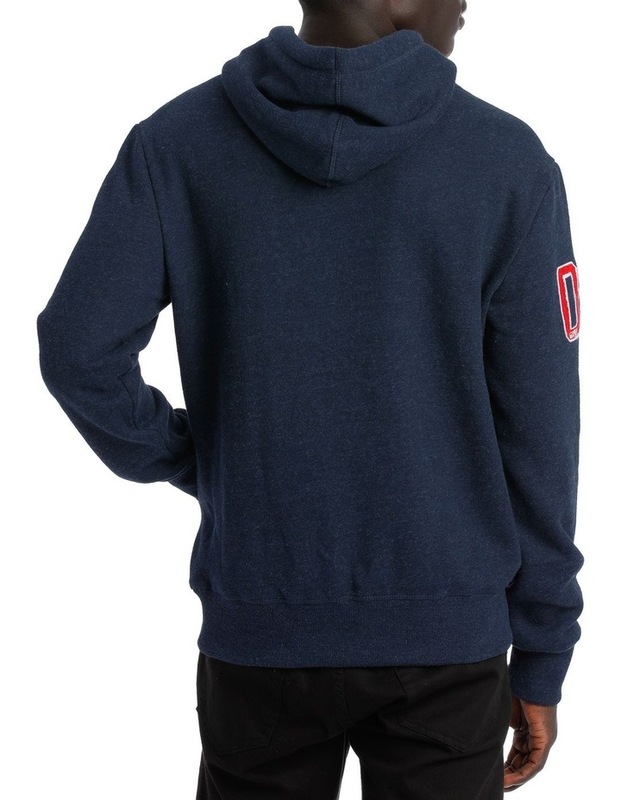 This limited edition overhead hoodie features a drawstring adjustable hood, a front pouch pocket and ribbed cuffs and hem. 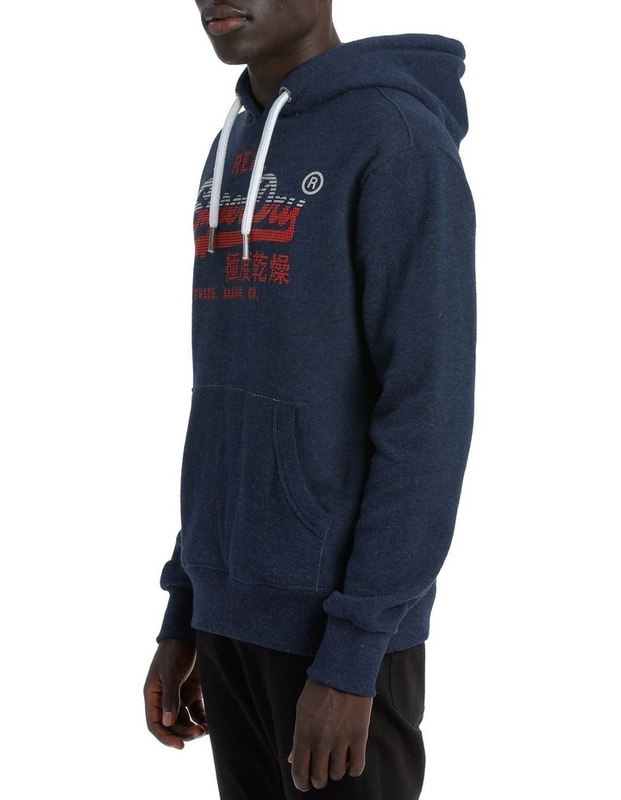 The Vintage Logo CNY hood also features a tri-colour logo on the chest, an applique number logo on the arm and is finished with a signature orange stitch in the side seam.